Eighteen months have now passed since Gervens returned home to his biological parents. To mark the occasion, Peterson and I made a special visit to his family. As Peterson and Gervens caught up on each other’s lives, I sat down with Gervens’ parents to get an update on their son. His dad shared with me that Gervens continues to want to improve at everything and reach his full potential. 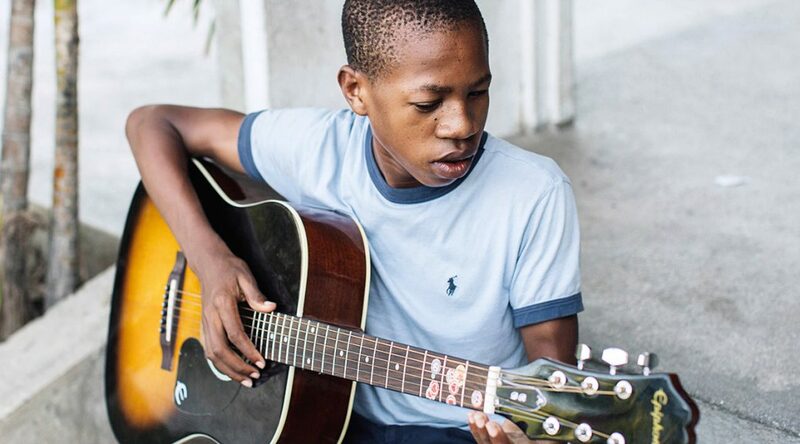 He has learned to do the dishes, make furniture and play the guitar from his father’s teaching. His mom describes Gervens as wise, obedient, and industrious. He participates in household chores like laundry, tidying up his room, and helping the other children supply the house with water. She praises him for being strong, intelligent, orderly, and caring. 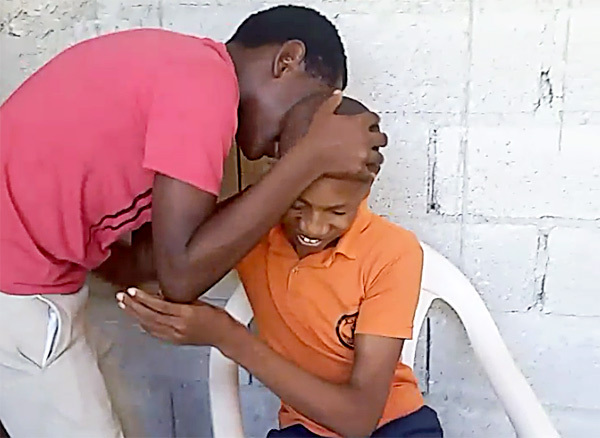 Gervens never ceases to amaze his parents by exceeding the limits given to him because of his disability. He has even undertaken radio repair and playing the accordion. He challenges his sister to play the accordion better than him, which she cannot do, though she reports she practices well more than Gervens does. While we chatted, Gervens played guitar for Peterson and showed him some furniture that he and his father made. Peterson, in return, filled him in on all the news from the Lighthouse. When it came time to say goodbye, the two best friends promised to meet again before school starts in September. Gervens says he wants to continue to grow in three main areas of his life: music, education and faith. He feels that he continues to excel in school, and make his family proud. Over the last 18 months, Gervens has found in his family a safe space to flourish.